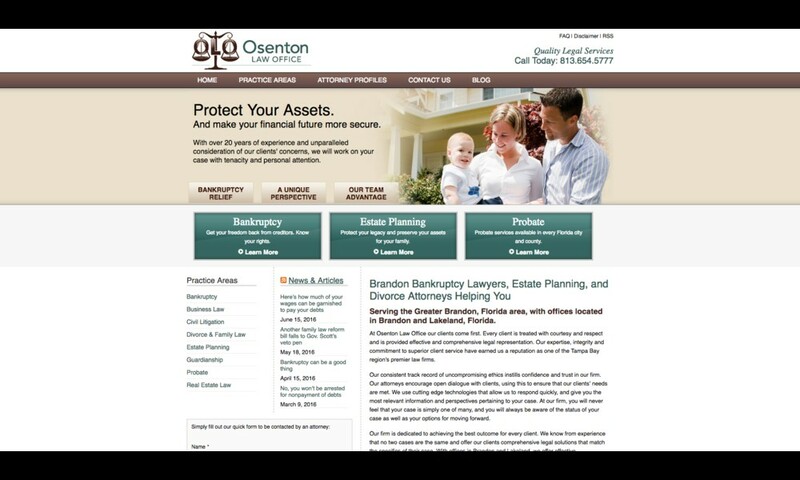 At Osenton Law Office our clients come first. Every client is treated with courtesy and respect and is provided effective and comprehensive legal representation. Our expertise, integrity and commitment to superior client service have earned us a reputation as one of the Tampa Bay region’s premier law firms.